Today is the first official day of the Advent season, a time of waiting, longing and anticipation of the birth of our Savior. While this is the first Sunday of Advent, we actually won’t be starting any of our activities or devotionals until tomorrow, the first of December. 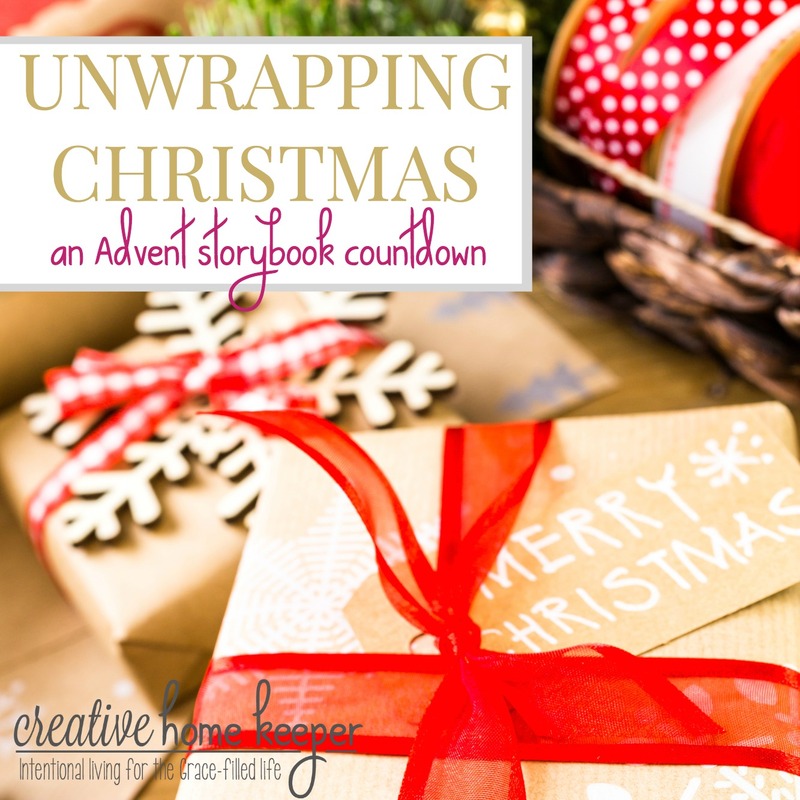 One of the traditions that I started last year and am eager to begin this year, is a book countdown where the kids get to unwrap a new Christmas book every day. Last year was our first year to do this and Silas looked forward to it every single day. He has been asking about it since we put up our tree and he even remembers what books we read last year. 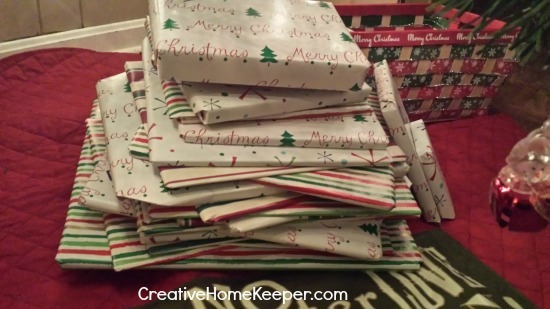 Some people wrap up 25 books to be opened up every day through the month of December until Christmas morning. I chose to only wrap 23, with an extra surprise (which I share below) to make 24 total “gifts” they will take turns opening each day. Because last year I quickly discovered that there is so much going on Christmas morning — to many exciting things to open and look out — to really enjoy sitting to open and read a book. So I decided that on Christmas morning there will be no special book to open since they will have their other presents to open. We can always read the books throughout the day as the need arises but we won’t be opening a “special” book on Christmas morning. While this is definitely a fun Christmas tradition, there are a few cons. For one as a book lover it’s hard to wrap up books and not let my kids read them for a while. Some they won’t even have to read for very long since they are opened so close to Christmas. Another factor is that it does take a little work to gather up enough books and to actually wrap them. 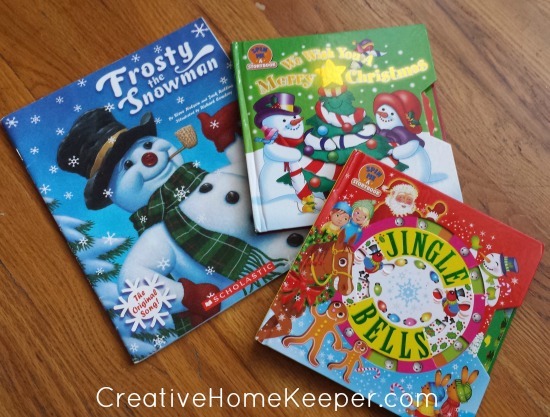 I’ve been collecting books for a few years but it can be expensive to purchase 24 or 25 new Christmas books at once. The library is a great resource and actually last year I did check out a few books to be wrapped up. I also purchased a few books this year from my son’s school book order, they offer quality books that are super cheap. While there are a few cons, I think the pros far outweigh them. It’s fun to watch my children open the books every day and eagerly want me to read them. I have many memories of last year all snuggled up on the couch reading our Christmas books together. 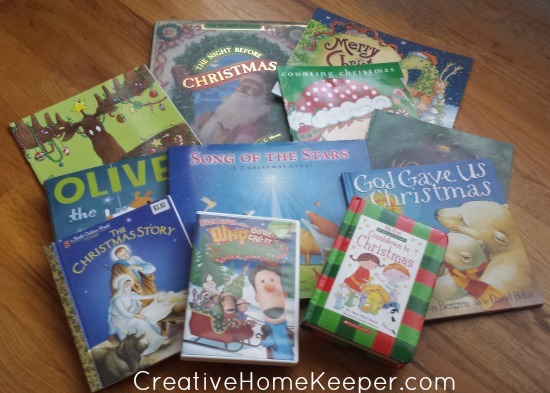 Plus these books share in kid-friendly terms, the real Christmas story which is important to me. Below are the books we have currently included in our Advent countdown but as the children grow older, and our collection expands, I’m sure we will have books rotating in and out for years to come! Countdown To Christmas by Dr. Mary Manz Simon- This is a cute daily devotional book for little ones that has a simple Bible verse, daily reading, prayer and often times a little activity, craft or service project. 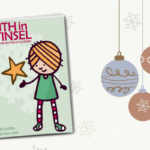 We mainly just read the Bible verse and pray the little prayer together since we mostly do Truth in the Tinsel. What’s In The Bible? 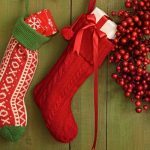 Buck Denver Asks…Why Do We Call it Christmas? – Technically this is a DVD not a book, but I am so excited to include it in our Unwrapping Christmas tradition this year. I think my kids will love this especially since I have heard so many great things about this particular What’s in the Bible DVD. A Christmas Goodnight by Nola Buck- Last year I checked this book out from the library to read to Silas and fell in love with it. The little boy goes through a process of saying goodnight to his nativity set and to Baby Jesus which was something that my son was doing too. It’s a precious story. Christmas in the Barn by Margaret Wise Brown- You can’t go wrong with Margaret Wise Brown, I love her classic children’s books. This is a new book to our collection this year but after flipping through it, I’m excited to read it to my kids as well. The First Christmas Night by Keith Christopher- Gorgeous illustrations, yet it tells the Christmas story in a way that is perfect for young children to understand and comprehend. The Birds of Bethlehem by Tomie dePaola- Another new book to our growing Christmas book collection, but I’m sure this will become a family favorite as well. This is the Christmas story told from the bird’s point of view. Who is Coming to Our House? by Joseph Slate- A sweet story as the animals in the manager await in anticpation of their “special guests” on that first Christmas night. Santa’s Favorite Story: Santa Tells the Story of the First Christmas by Hisako Aoki- I’m actually pretty excited to read this one with my kids. In this story Santa tells the story of the first Christmas and how the emphasis isn’t on him but on Jesus. While we don’t technically “do” Santa, I’m not oblivious to the fact that he is everywhere this time of year and that my kids will come to know him. I think this story will help guide their hearts and minds on how to place Santa in the appropriate place during Christmas time. Happy Birthday, Jesus! 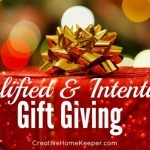 by Michelle Medlock Adams- I want my kids to know that Christmas is also the celebration of Jesus’ birth and for young kids that means a birthday party. This adorable little board book shares in the excitement of celebrating Jesus birthday through various activities, including making Him a birthday cake. J Is for Jesus: The Sweetest Story Ever Told by Crystal Bowman- I love the story of the symbolism of the candy cane and this board book tells the story in a way to help little ones understand how a simple candy cane represents Jesus. The Christmas Story by Jane Werner- I love this classic version of the Christmas story and the pictures of beautiful too. God Gave Us Christmas by Lisa Tawn Bergren- I love all the books in this series but this one is so sweet as a the Mother Polar Bear explains to her young cub how God gave us Christmas. Song of the Stars: A Christmas Story by Sally Lloyd-Jones- From the author of our favorite children’s Bible storybook, this precious book walks the children through the anticipation of what is to come on a starry night so long ago. Humphrey’s First Christmas – This special story tells the story of the three wise men traveling to see baby Jesus but told from the camel delivering them. 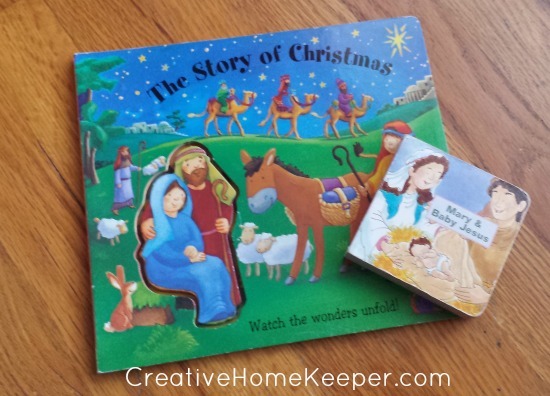 The Story of Christmas: Watch the Story Unfold board book– This board book is one of those books that the 3D pictures builds on itself throughout the book. It’s a simple retailing of the first Christmas. I think I purchased this one at a Christian bookstore several years ago but I haven’t seen it since, which is a shame because it’s a good one. Mary & Baby Jesus board book– I actually picked this one up at a thrift store a while back. 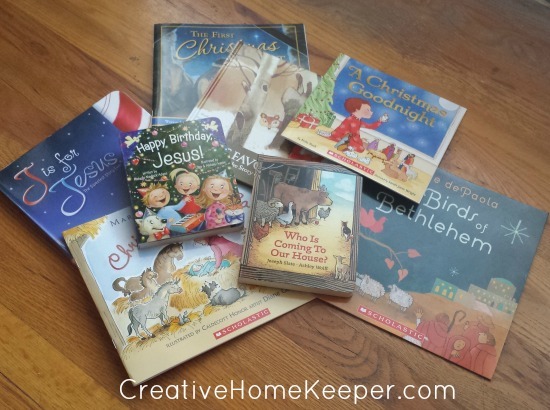 While I love books that teach my children about Jesus’s birth and why we celebrate Christmas, I also mix in a few fun and classic Christmas books that include several traditions from the holiday season. Charlie and the Christmas Kitty by Ree Drummond aka The Pioneer Woman – A sweet Christmas tale of a pair of unlikely friends who grow to love and respect one another. Pete the Cat Saves Christmas by James Dean – I don’t know about your family, but my kids LOVE Pete the Cat! This cute story puts a spin on the classic ‘Twas the Night Before Christmas with the groovy cat stepping in and saving Christmas. Olive, the Other Reindeer by Vivian Walsh- I’ve loved this book for years and used to read it to my students during the holidays. It’s a cute take of a little dog who plays on the verse “All of the other reindeer’s” thinking that she is destined to join in on leading Santa’s sleigh. It’s fun and the illustrations are also delightful. Counting Christmas by Karen Katz- I love Karen Katz books and this is a fun counting book that counts through various Christmas situations. Mouse’s First Christmas by Lauren Thompson- A fun book as a little mouse scatters throughout the house at night discovering all the Christmas magic and decorations. Mooseltoe by Margie Palatini- Another fun book that last year gave my son many giggles as Mr. Moose hustles and bustles trying to get all the Christmas prep done in time for the big day, only to realized he forgot one important task! The Night Before Christmas hardcover: The Classic Edition by Clement C. Moore- Who doesn’t love this classic? I leave this book to be unwrapped close to Christmas Eve because it feels like such a treasured tradition to read it so close to Christmas. Even if you don’t do Santa at your house, I still love the story and the poem. All of these books are wrapped and placed under our Christmas tree, ready to begin the countdown of opening one a day throughout Christmas Eve. This fun tradition is just one way we are unwrapping Christmas this year. What Christmas books do you enjoy reading with your children this time of year? Such a wonderful idea! My son doesn’t read yet, but I will do this once he learns to read. So many great books—we have several of those but do not have the one by Tomie dePaola so I will have to check that out! I love this idea! Once we have kids I am definitely doing this! What a marvelous idea! I will have to start getting some of these for when the kids are older. I absolutely love this idea and it goes along with our post as well about our top picks for this season to get kids more excited about reading. I’d love to share this! Can we use as a Guest post or a share? What a great idea! My boys are getting to that age where they would be super excited to start a tradition like this one 🙂 Thanks for sharing! so fun!! 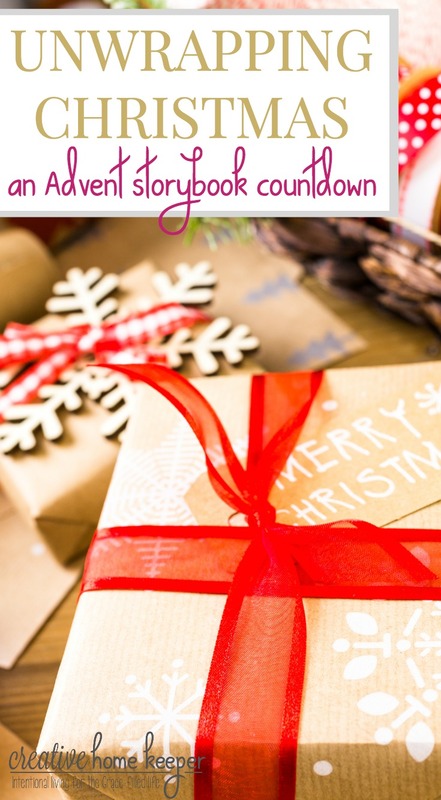 this is such a great advent idea! my mom has done this for my nieces before!! We are doing this, this year! So excited! Our family would love this idea. We love reading!! This is so fun! I love your book suggestions. We got Little J a few books for Christmas, but only one of them is holiday-themed. But last year he got a few good Christmas books as gifts, and I can’t wait to read them with him as Christmas gets closer! I am definitely pinning this one to save all these good book ideas! What a great idea! I love all the book options!! What a lovely idea and tradition! I have a Christmas story book that we read together with my son always before Christmas. It has several stories, songs and poems. It was first mine when I was a child and it has been a lovely tradition to pass down to him. That is so special that you have a book to pass on to your son, I bet that is such a treasured keepsake and tradition for you two. Thanks for sharing Joanna! This is a lovely idea for an advent calendar. Love this I really want to do this one year! You totally should, it is so much fun! I’ve seen this idea before and think it’s great, we’ll definitely be doing it when we have kids! Hello. I found your list and wanted to tell you about a new book I just found. It’s called the Old Shepherd’s Tale. I’m surprised I haven’t found it before – I really search the Christmas books on Amazon and never ran across this one until it was in the bargain outlet. It’s a great story of the stables and showing kindness to the animals.